North Carolina has been steadily making a name for itself in the Hip Hop scene. It is hard to put a definition on the sound of the Tarheel state, but upcoming emcee King Mez is seeking to make his mark with his honest lyrics and gritty voice. He proudly reps Raleigh and is influenced by New York greats Nas and Notorious B.I.G. The rise of North Carolina Hip Hop signals something deeper, showing that Hip Hop is growing into its full potential to reach the world. He released Long Live the King in April and is happy with its success so far. A recent trip to Los Angeles allowed King Mez to build new connections. The 24-year old, born Morris Ricks, is continuing to work with different producers while growing as a producer himself. But to him, success goes beyond making beats and rhymes. He is looking forward to solidifying himself as a musician, but doesn’t want that to define him. A month before anyone had heard of Michael Brown in Ferguson, Missouri, the emcee was walking the streets of his hometown in memorial of Tahje Mials, another teenager who lost his life to senseless violence. Morris stopped by HipHopDX’s offices to talk his newest album, his friendship with J. Cole and making a difference in the world through music or otherwise. HipHopDX: What has the response to Long Live the King been? King Mez: It’s been good, man. I’m really excited about venturing into a new sound and seeing the people continue to be with me as I grow sonically and lyrically and try to be everything I want to be. I never want to be restricted by sound or anything in particular. I’m real happy about the way people perceive it, and they enjoy the music. And I’m producing most of it this time around. It wasn’t like that before. I made maybe like 60 to 70% of the beats. DX: Is there a reason for you deciding to produce more? King Mez: It’s crazy, because it’s something I used to dabble in, but I think it’s more so the fact that I have a lot more control over exactly what I want to hear rather than trying to describe it to someone. Audio is a hard thing to try to describe to somebody. Saying, “I want this emotion” or rather, trying to convey an emotion verbally is a hard thing to do. So me making it myself, I know exactly how I’m feeling and exactly what I want to say. I think that makes a difference. DX: I noticed a sample of “What You Won’t Do For Love” on “Can’t Let Go.” Did you produce that song yourself? King Mez: I co-produced it with a guy named Rich Muzik from Connecticut. He actually brought the sample through, and it’s a cover of that song. I can’t remember who did the cover, but it’s a British singer. We ended up sampling her, and then that’s how the beat got made. DX: I noticed on Twitter, you were excited people from Seattle were buying hard copies of Long Live the King. What does that mean to see the nation enjoying your music? King Mez: That’s powerful. I’m from Raleigh. I’m from the East Coast and it’s the South, so to see people on the complete opposite side enjoying my music, I’m definitely thankful. I mean, people from other countries are reaching out—Paris and South Africa—so I’m thankful. It’s a good look. DX: I read the recent article on you in IndyWeek.com. Is there any pressure to create a single? King Mez: It’s funny, man. People say that a lot, but I’m really just enjoying myself and just making the music I love. Like I went back to previously, I’m organically venturing into new sounds because I just honestly want to. I like making different kinds of music and stepping out of a box. If it comes, it’ll come naturally. It’s not gonna come because I wanted it to be a single or I meant for it to be a single. I think those are always the best ones where you’re just expressing yourself. DX: Is that the Basquiat crown on the cover of Long Live the King? King Mez: No that’s not the Basquiat crown, but it’s definitely of the realm…the same kind of typeface I guess you could say. That’s actually a light painting. It’s crazy because, there’s actually another person in that photo behind me. He drew it like light painting or whatever, but I guess because of like leaving the exposure open on the camera while he did it, it was too dark to capture him behind me, so you only get the light. A lot of people don’t know that about the cover, so I’m glad you asked. Shout out to Saul Flores, Ruben Rodriguez and my man Jason Clary. A lot of people put in work on that. DX: In general, how does art inspire you? King Mez: I love art in all its mediums. All different kinds of art influence me all the time. I’m a huge fan of Japanese manga. I like Japanese culture in general. I’m a big fan of Metal Gear Solid, and I think Hideo Kojima is a genius. He’s the person who made the game. I just feel like all of that is art. I’m influenced by everything, every little bit of it. I try my best to not be confined to just music being inspired, of course not even Hip Hop music. I love all kinds of music. I grew up listening to like Biggie and Nas, but as I got older I ventured off into like Alan Parsons Project and Led Zeppelin’s “Stairway to Heaven.” Of course that’s the cliché joint, but that’s one of my favorite songs. I really love a lot of different kinds of things, all different kinds of art. DX: I read that New York Times article by MK Asante. What did it mean to you? King Mez: It meant a lot, to be in the New York Times. That was the same day the project came out. It really meant a lot. MK [Asante] really thinks a lot of me. He’s like a big brother to me, so big shouts to him. It’s crazy, me and him are like a duo. We hustle so I don’t get to see him, but when I see him, it’s like we never like missed a step. So that article really meant a lot to me, because it was coming from him, and it meant a lot to me for it to be passed through the New York Times. It was great. It was even cooler, because it wasn’t a Hip Hop article. It was for Rock and Roll, so to be a part of that was big. I liked that. DX: What does it mean for you to be part of that? King Mez: It’s just paying it forward to the culture. I’m just thankful to be a part of something so big that inspires so many people, so many different things. I really remove myself from that and just think about, “Man I’m just happy to be a part of it.” I may be influential, and I’m sure I will be in time, but it’s just, thinking about Hip Hop as a whole and how much it means to the world. That means so much to me. It’s a revolutionary thing. It’s something that’s always gonna be changing people, changing things, and society, so I love it. DX: On My Everlasting Zeal, I really like the song “The Queen.” I’ve always wondered, does the girl commit suicide at the end? DX: That song is just so sad, but so powerful. What was your inspiration for that? What did you wanna say through that? 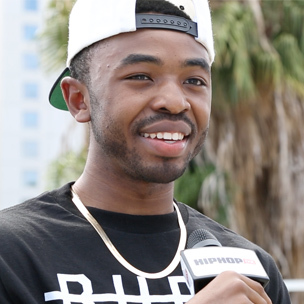 King Mez: I’m always trying my best in my music to make a difference in a way where it’s eye opening. I’m not big into like shock value or anything like that, but that’s real. That’s something that actually happens all the time, so it was super important to me to get that point across. I’m always doing that over and over again in my music. So it’s fun to make it. It’s gonna be fun to be super successful, but it’s nothing in the world like changing a person or giving them something to listen to that’s gonna get them through their day. When I see those tweets and emails, that’s the stuff that means the most to me. That’s really why I made it. DX: Obviously, you’re very honest and feature storytelling in your music. And then you have other songs that are kinda just fun. How do you balance that and still find your identity as a rapper? King Mez: It’s just the simple fact that I’m doing my best to be truthful. I feel like most of the time if you’re a “conscious rapper,” which I’m definitely not, when you just have a sense of the things that are going on, and you speak your mind and heart and voice your opinion. People often expect you to just be in that box. But that’s not even who you are completely. People are a broad spectrum of things. It’s important to me to convey that broad spectrum consistently. All I give you is who I am. But the whole thing, though, rather than just like a portion. I feel like My Everlasting Zeal, I love that project. I think it’s good, but that was really me speaking from the perspective of what I want to be for everyone else. I feel like Long Live the King was so much iller, because it was like the broad spectrum of myself—the whole thing. It’s not contradictory, though. You can still see who I am and it makes sense. Of course I like to have fun. I just turned 24. You gotta show everybody everything. I think that’s important to be honest. DX: I actually found out about you from Lecrae’s Church Clothes 2. What was it like working with him and that song, what did it do for you? King Mez: It meant a lot to me. I’m a Christian myself. I think he heard me on satellite radio. I don’t know if it was Sway, but it really meant a lot for him to reach out, ‘cause I know I’m not perfect. He was like, “Man, I heard the music that you were making,” it really meant a lot to me. I really like him as a person. When he reached out, before I met him [in person] of course, I think it was via text first. We linked up on Twitter via text. I met him on a tour bus in Durham since he had a show, and that’s when I really got to know him. Ever since then, it’s been super cool. He’s a good guy. It meant a lot to me to be on the song, though because like I said, that’s where my heart is, in changing people. That’s the first and foremost. I love making music, but I love changing people and helping in any way I can. And rather than changing them, I say that a lot, just giving them something that they feel and something that they understand. A lot of times that’s the problem with Rap, it’s like a façade. It’s like the reason why people go out of their means to do things is because people act like they have things that are out of their means in Rap to begin with. You can be honest. That’s why kids run around robbing the store now. Be honest. Say, “Man, my advance wasn’t that crazy. I’m still living at so-and-so’s crib.” If you was real about that, they might feel okay about doing that too. So that’s really my whole thing, being honest. DX: How do you incorporate your faith into your music? King Mez: Like I said, just being truthful. There’s no point in fabricating anything. A lot of people are just afraid of who they are nine times out of 10. That’s just not who I am. I guess the way that I do it is just the things that I learn, and the things I go through. I feel like it’s nothing like just being you. Being yourself is the most important thing. I feel like me being spiritual is me being myself through my music. I would never lie to you. I’m not gonna fabricate. That you asked me that question, for me to say “no” would be crazy. Not because I’m in denial, but because it’s like all these other people who might’ve related, who might’ve said, “Man, that would be really cool if he was honest about that. I know he’s not. I know he’s a Christian. He’s lying.” Whatever the case might be. I’m not gonna do that. I’m gonna be real about who I am. I’m proud to be a Christian. I’m proud to be who I am. Maybe I’m not the best one, but I try. I’m definitely proud to be me. King Mez: “No anesthesia though / Feeling every little thing / Pain is what we need to grow.” That’s really the whole point. I feel like a lot of times you go through things in life. I’ve been through a lot in my young 24 years. I’ve seen a lot. Maybe a lot more than the average person, but I know for a fact there are people that go through way worse than what I’ve been through. So I’m still thankful and blessed. I just mean it from the perspective of people often worry and fret at the sad things and tragedies. And you don’t realize that has a lot to do with who God is shaping you to be. Who you’re gonna become has a lot to do with the things you go through, and you gotta focus or fold. You can become that person, or you can regress and go backwards and become somebody that you were never supposed to be. That line meant a lot to me. It resonated with a lot of people too. DX: I know you are close with your brother. What is that relationship like and what does he mean to you? King Mez: That’s my man, yo. Our mom passed in 2010, and I dropped out of college to work with him as he graduated high school. We’ve been through so much even before that. We went through a lot in the house with our dad and our mom, and there’s a lot of things that happened. I see the world in him. He’s just such a talented, intelligent individual. I think he’s gonna be great…probably better than me. He’s a producer as well, and lot of people don’t know that. Our relationship is amazing because we stay close through anything no matter what. I don’t get to talk to him some days or whatever, but it don’t really matter because with me and him, it’ll never change. It’s crazy to me to see siblings like lose touch, be mad at each other and not talk to each other. I thank God my mom raised us like that. That’s my man. DX: North Carolina in general has a lot of upcoming artists, Cole, Rapsody, and you. What is special about the North Carolina Hip Hop scene right now? King Mez: It’s kinda spread out. Different people have their cliques. Everybody’s kinda bunched together, but I think it’s love all around. I think North Carolina’s very different because it is Southern, but it’s East Coast. I think it’s starting to come out in the music. It’s starting to be like a trend, when you hear it in the artists like, “Wow.” It’s Southern, but they sound a little different than everybody else. We have artists that do have a more Southern vibe to them. I know Deniro Farrar’s from Charlotte. I really don’t even know what to compare him to, but I really like his style. It’s different. There’s a lot of different kinds of sounds in North Carolina. Of course, you know Jamla and 9th Wonder. It’s always love with them. I really appreciate them. I worked with them a lot when I was coming up early on. Everything is synonymous in particular ways, but I really think North Carolina has a lot of different variety of sounds and whatever. I feel like what makes us stand out, though is our perspective on things. It’s like a rapper with Southern hospitality. It makes no sense, and it’s so different. But it also has an East Coast flow—this, that and the third. Phonte is one of the legends for that. Big Pooh, Little Brother is a classic, 9th Wonder. North Carolina is different, but I think we have something special. DX: What influence does 9 Wonder and Jamla and Little Brother have on Hip Hop in general? King Mez: Little Brother really made a big difference. Phonte is like Drake’s favorite rapper. I feel like they are one of the quiet pioneers of a lot of stuff…a lot of stuff people don’t even really realize. I think Little Brother had a big impact on Hip Hop and North Carolina music in general. And Jamla is an upcoming label that’s doing an amazing job at being independent and staying tight-knit. I’m a fan of a lot of work over there, so love to everybody over there as always. I’m sure I’ll probably end up working with somebody soon over there. DX: I know you kinda already talked about New York and North Carolina already, but Cole has a line that says, “I’ve got New York people singing ‘Ville songs.” Do you still think New York is the center of Hip Hop or how is Hip Hop’s regionalism evolving? King Mez: I mean it’s funny because I don’t think there’s like one specific spot anymore. Chicago has like a wave of music. I feel like A&Rs probably just should be out there in Chicago lurking now and creeping the streets because it’s such a wave. Then you have Atlanta that’s always been popping. L.A. has always had some kind of scene. So I don’t think it’s a central hub anymore, especially with the Internet. You’ve got people coming from overseas like a Tinie Tempah. It’s evolved into what it was always supposed to be, which is something that’s great that transcends people and countries and nationalism. It’s something that brings a lot of people together. I think it’s everywhere. DX: You’ve worked with J. Cole, Omen and some of the Dreamville camp, and then you went on the Dollar And A Dream Tour. What’s your relationship like with Dreamville and Cole? King Mez: Family, man. Super, super good people. He reached out in 2012, and we’ve been cool ever since. I could text him right now, and he’s a quick response, like, “Yo, what’s happenin’? Everything good? You straight?” I remember when I first met him. He brought me back to New York, and I was in the studio with him while he was recording Born Sinner. I remember they had a lot of posters and just little things they were writing and drawing when Born Sinner was in its early stages. They were creating things for the cover or whatever the case might be. I remember being around for that, and it meant so much to me. He was one of my favorite new rappers before he hit me up. It’s crazy. A lot of people don’t know I met him on Myspace when I was like 17. He was Therapist Music, and I was in high school. I hit him, and he had a song called “School Daze” from The Come Up, the first joint. I told him, “Yo, “School Daze” is crazy.” He hit me back saying, “Aw, thanks, man, I really appreciate it.” It’s always been love. It’s always been love. I really appreciate him and the whole camp. Everybody’s super cool. One time he let me drive his Range from a Wiz concert. That was probably one of the best moments of my life. I thought that was so crazy. Yeah, he’s a super, super good guy. DX: Is it true your name is an acronym inspired by Transformers? King Mez: Transformers, like King Mezatron, that’s what I say sometimes. I don’t know what the phrase for that is, when you have like a nickname, like a short nickname or a longer nickname for your name. Whatever the case might be. I’m a huge fan of Transformers, by the way. Love Transformers. Megatron’s name definitely influenced King Mezatron. My name, King Mez, is definitely an acronym. Knowledge Is Now God and My Everlasting Zeal. And My Everlasting Zeal is where the album name came from.